READY TO MOVE IN to this spotless, clean & very spacious 6 bedroom/3 bath home. Upstairs offers 4 bedrooms/2 bath, a living room, dining, family, and Rec room and 2 bdr/1 bath and living room in the basement with seperate entrance. Masterbedroom has a walk-in closet and esuite bath. Living room w/fireplace and sliding door to a balcony with a view of Mountains. The open kitchen has Maple cabinets, large Italian tiles; which connects to dining and family room. The house has been updated with laminted flooring up and down. Bonus of double car garage and back lane, and storage shed. The fenced private front yard offers fruit trees and beautiful flower garden. 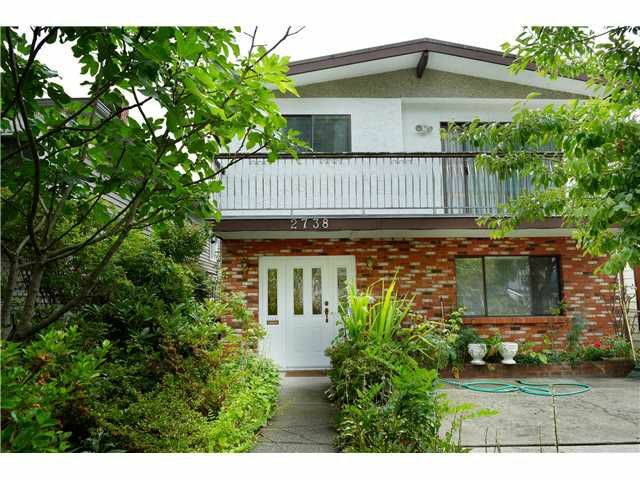 Steps to 29th Ave Skytrain, schools, parks, shopping & other amenities.